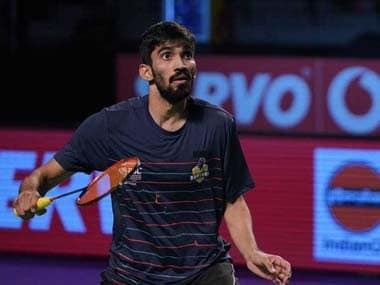 India's Kidambi Srikanth overcame the challenge of Japan's Kazumasa Sakai in the Indonesia Superseries Premier to become the first Indian man to have won a Superseries Premier, Superseries and a Grand Prix Gold title. In what was termed as a 'Super Sunday' for Indian sports fans, India were slated to play Pakistan in the Champions Trophy final and the Hockey World League Semi-Final. Srikanth got the country off to a good start by winning the Superseries Premier title. 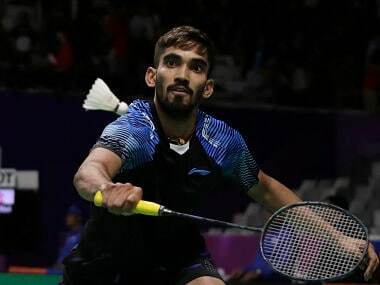 Coming freshly after clinching silver at the Singapore Superseries – losing to India's Sai Praneeth in the final – World No 22 Srikanth did one better to become the first Indian man to win at the Indonesia Open. Suitably, Twitter started pouring in well-deserved accolades to commemorate his historic victory. The decision-makers of the country congratulated Srikanth on his success. Cinema, the other love for Indians, took to Twitter to congratulate the 24-year-old shuttler. The new president of the Badminton Association of India expressed his pride and announced a cash award.